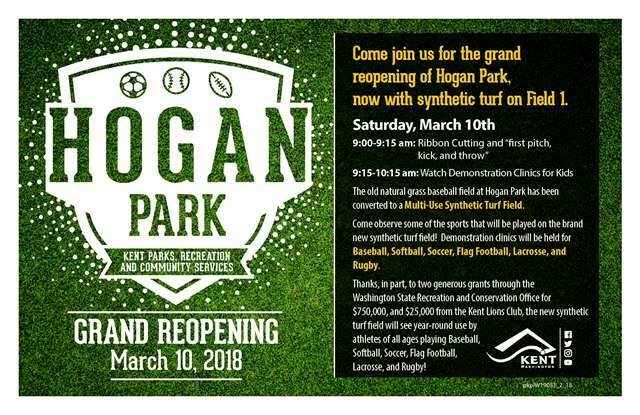 REMINDER: The grand re-opening celebration of Field 1 at Hogan Park will be this Saturday, March 10, starting at 9 a.m. This is a free and very kid-friendly event, open to all. In addition to baseball and softball, the field can now accommodate soccer, flag football, rugby and lacrosse all year round.